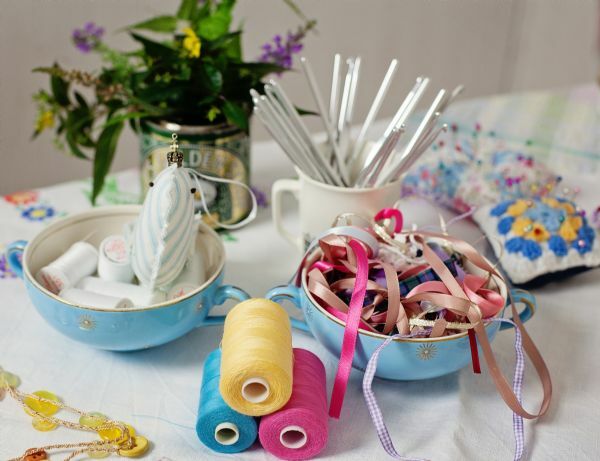 We pride ourselves on creating a special atmosphere with vintage china and table linens, lots of lovely old fabric and lace to sew with and plenty of relaxing chat too. Guests are welcomed with a drink then they sit down down for some sewing, the project is always carefully designed to appeal to even the most reluctant sewer with buttons, ribbons, fabric and lace beautifully arranged to inspire and help on hand to make sure everyone has a special finished project to take home. Crafty makes include hand sewn bunting, a crochetd button necklace, fabric brooches and Little Love Birds and of course garters for a cheeky reminder of a Hen Party. 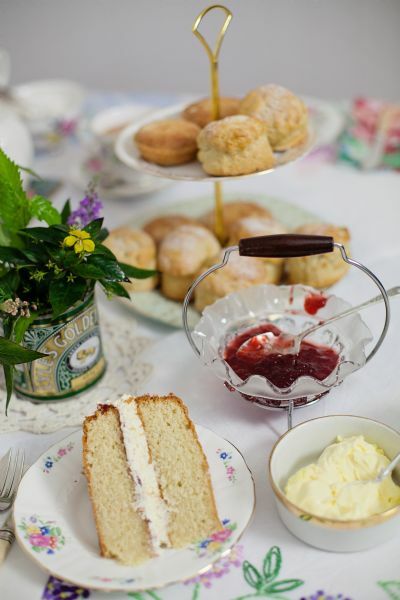 After enjoying their sewing project it's time for a delicious high tea at the delightful tea table - finger sandwiches, warm scones with cream and jam and proper home baked cakes served with freshly brewed tea or coffee. You can either come along to one of our regular Crafternoon Tea Parties at carefully chosen secret venues around Cheshire or if you have a group of friends we can bring our special Tea Party to you, perhaps to celebrate a special birthday, a Baby Shower or for a Hen Party. Do get in touch and we can send out our menu information to help you choose your tasty tea. 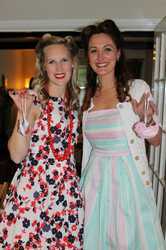 Our Hen Parties have proved very popular 'Fabulous day with fabulous people! Huge thank you Jo, best hen party ever! The Bride (Hannah) x' and we are delighted to help celebrate such a special occasion and help make wonderful memories. Looking for a different sort of Hen Party? 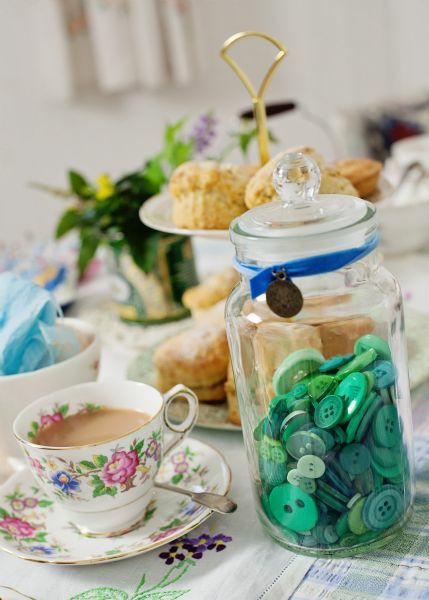 A Secret Crafternoon Tea Party is a unique way to celebrate and can be tailored to your requirements. Call Jo on 0777 578 0533 to book.